When some Johnson City, TN, residents need multiple improvements made to their home, such as a new garage door and an attic insulation upgrade, they hire a different contractor for each project. This often results in a waste of precious time negotiating prices with each contractor and performing juggling acts to ensure everyone’s schedules align. 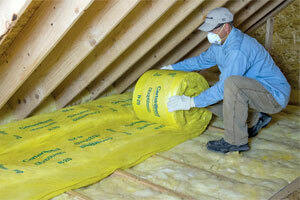 Rather than enduring these hassles, why not turn to a full-service contractor like 31-W Insulation? We’re committed to ensuring our customers only receive long-lasting products that have been designed and manufactured by the industry’s leading brands. When you turn to 31-W Insulation, you can be sure that we’ll utilize the best products available, whether it’s an Amarr® garage door or CertainTeed attic insulation. Contact us if you live in Johnson City, TN, or a surrounding area to schedule a free in-home estimate for your new garage door, attic insulation, custom mirror, or any other home improvement product.